Thousands of quilters around the world have discovered Karla Alexander's Stack the Deck technique, and the overwhelming response is--they love it! 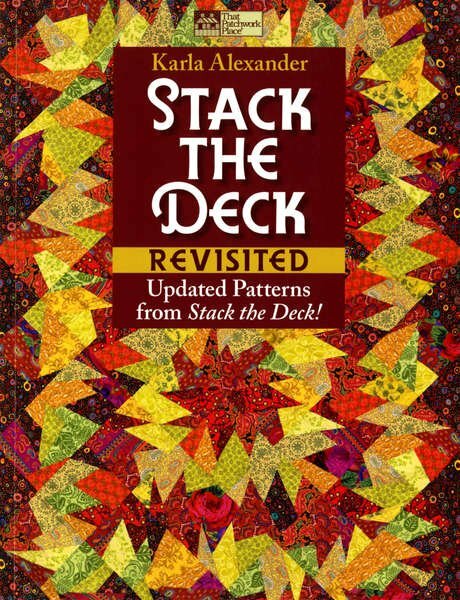 In this volume, quilters will be thrilled to find much-loved patterns from her often-requested first book, Stack the Deck! Each pattern features today's exciting fabrics, and several of the original designs have been modified slightly for a fresh new look. With these 11 fun projects, Karla opens up even more possibilities for her popular stack-slice-and-shuffle method.